Skate Kitchen was nominated for the Audience Award Best of Next! at Sundance this year, and has also been widely celebrated by critics so far, who have praised her vibrant narrative style as well as her authentic vision of how young women reach maturity through the world of skateboarding. Judging by the first impressions and this advance, Moselle seems to be able to handle himself very well in his non-documentary feature film debut. 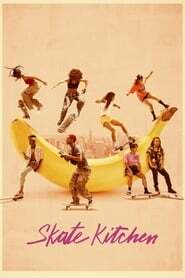 The cast includes Jaden Smith as a love interest, and the rest of the girls are played by Nina Moran, Dede, Kabrina Adams, Jules Lorenzo, Ajani Russell and Ardelia Lovelace. The movie opens on August 10 and you can find the trailer below.